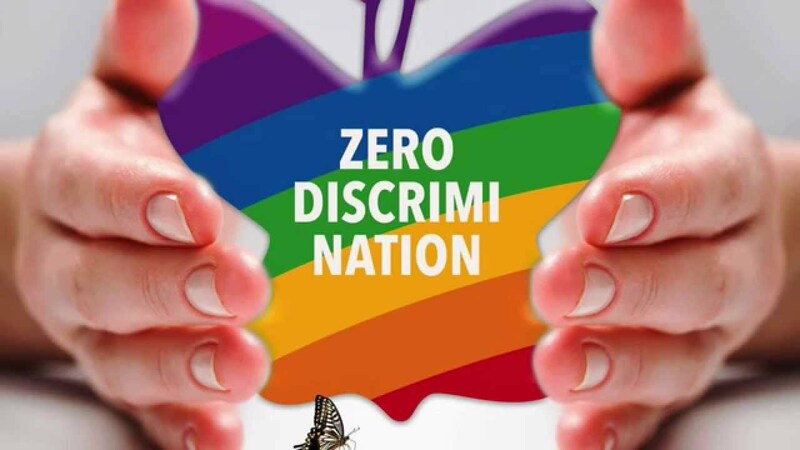 As the United Nations celebrates its Zero Discrimination Day on February 29th, it’s timely that bias embedded inside each and every society is ripped open and examined; because even though crucial fights are being fought, there is still a long way to go to reach an equal world. A new in-depth report commissioned by INvolve, a membership organisation that champions diversity and inclusion in the workplace, and Centre for Economics and Business Research (CEBR), an economics consultancy, shows that discrimination in the workplace costs the UK alone £127 billion every year. The study exposed that not only will business who boast a diversity of gender, ethnicity and sexual orientation thrive but that the country’s GDP would grow by an estimated 7 percent. Of course prejudice exists beyond the walls of workplaces; on the streets and in the very things that fly in the air around us all, but tackling bias that spurts from the foundations of individuals’ livelihood is a starting point. By targeting the possibilities of businesses to flourish against the back of diversity, this study ridicules discrimination in contrast to its inclusive counterpart. But are we willing to let our misconceptions, our inherent stigmatisation and the bias ingrained in us by the society that birthed us jeopardise the economic growth of an entire nation? The study found that discriminatory practices resulted in pay gaps and low productivity, typically leading to compromised financial performance because the potential of employees is not being fully harnessed and utilised. Discrimination against black, Asian and minority ethnic (referred to as BAME) workers cost £2.6 billion, with white people earning between £67-£209 more per week than similarly qualified workers of a different ethnic background. While sexual orientation discrimination represents a £2 billion loss to the UK economy every year. “In the current climate, where the fight for equality and balanced representation is being fought on many fronts every day, we need businesses to stand up and work to drive change in our society and our workplaces; to ensure that everyone – no matter their gender, heritage or sexuality – is given an equal opportunity to thrive and reach their full potential.” Said Suki Sandhu, founder and CEO of INvolve. As we race forward and continue to shout and march and fight for equality; true equality, we need to make sure that the dialogue does not leave anyone out. This is not the fight of the historically marginalised, this is a fight of society to excel growth and grasp the potential at the very core of diversity.